Pumpkin carving on a Sunday night becomes so much better when you go all out in festiveness. 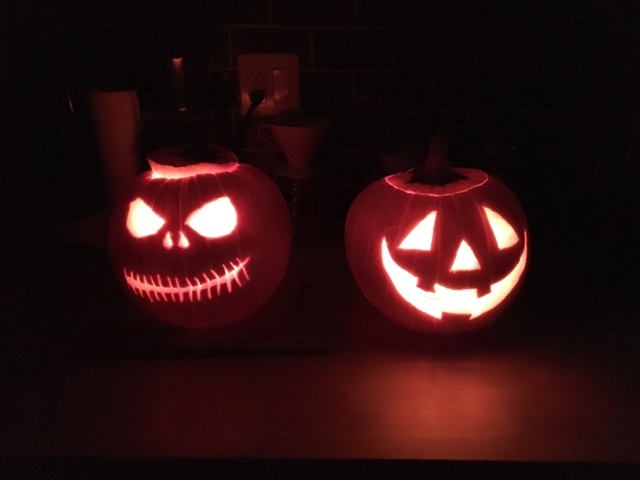 With less than a week until Halloween, I definitely waited until the last minute possible to cross this off my October bucket list, but thankfully, the little shop next door to our house had everything we need to make it perfect, starting with pumpkins. I’m one of those people who will look through like 40 pumpkins to find the perfect one, but I found the perfect one immediately at the shop next door. The shop also had a special running on beer and cider so we stocked up on some of each to carve with, including pumpkin beer! 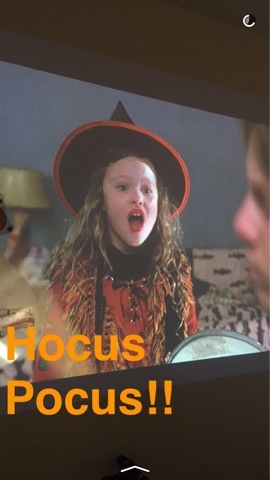 I always get super excited for a chance to pull out my projector and a pumpkin carving party was the perfect time to pull it out and watch Hocus Pocus while we carved. I have an obsession with mac & cheese and an even bigger obsession with festive mac & cheese so when I finally found mac & cheese in Halloween shapes, I immediately bought four boxes. It went perfectly with our pumpkin beer and hard apple ciders. Af for the carving, I opted for Jack Skellington from The Nightmare Before Christmas and my bf went for the classic jack o’ lantern face. We are so ready for Halloween! Did you get a chance to carve a pumpkin for Halloween? What look did you go for? Halloween has totally snuck up on me with coming back from Europe and getting myself ready for our housewarming party. I'm thinking that husband and I should jump on it tonight and finally carve a pumpkin! Hocus Pocus is a for sure go to when it comes to carving pumpkins!! I didnt know they had halloween mac and cheese! so cute!! 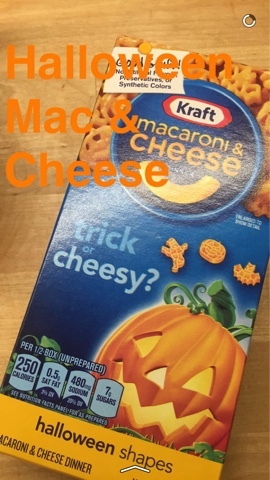 I've never seen the pumpkin/Halloween mac and cheese! I need to get me some of that! Thank you for sharing! I love that pumpkin mac and cheese! That is so cute! Hocus Pocus is the best! I have never carved a pumpkin but I have painted one for Halloween!! I love your Jack Skeleton!! My son loves that movie! !